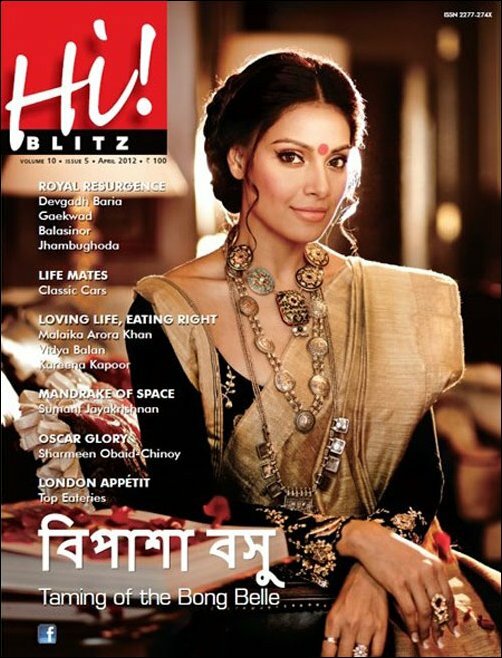 The sultry Bipasha Basu goes back to her Bengali roots for the April issue of Hi! Blitz magazine. 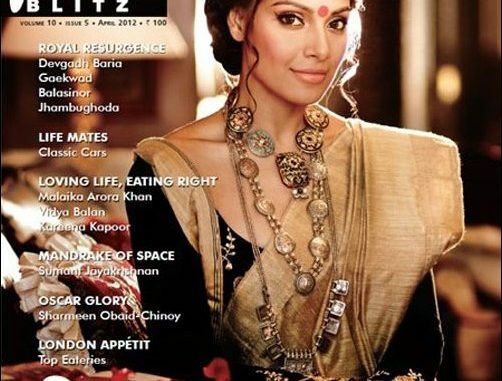 Bipasha looks drop dead gorgeous on the cover in a Agnimitra Paul sari paired with a Shantanu Goenka black full sleeves blouse and Ritu Kumar shawl. The statement neck piece by Amrapali takes the look a notch higher.